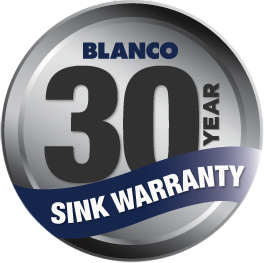 The Blanco 1 & 1/4 Double Right Hand Bowl Inset Sink Pack BTIPO6SRA comes with plastic cutting board and colander. - Quality finish for optimal Performance. - Maintains its lustrous appearance. - No dirt or grime build up. - No pooling of water during food preparation or draining dishes. - Reduces installation time & costs.